Kit and the gang are determined to find a path back to the Spirit Well but when one of their own disappears with the coveted green book, they no longer know who to trust. Meanwhile the expansion of the universe is slowing and soon will begin to reverse, heralding the systematic annihilation of all that exists. 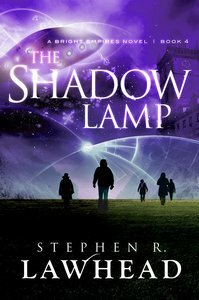 . .
About "The Shadow Lamp (#04 in Bright Empires Series)"